Let’s get this straight: fair skin is a misconstrued idea of beauty. Your skin tone does not determine your beauty. However, spots, pigmentation, discoloration, age spots, and other skin issues can make your skin appear dull, dry, and dark. 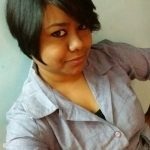 Skin lightening creams can work on these issues and make your skin healthy and glowing. 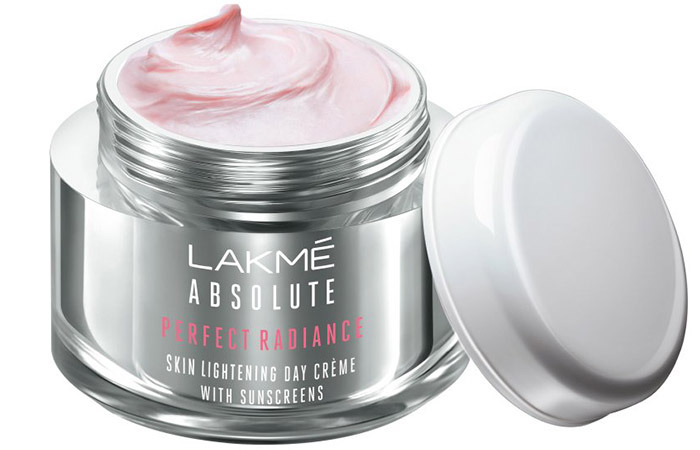 We have compiled a list of the best skin lightening and brightening creams and gels on the market. Check it out! This fairness cream offers multiple benefits. It protects your skin from UVA and UVB rays, makes your age spots less visible, slows down the signs of aging, and gives you brighter skin. It has a unique formulation that is clinically proven and skin-friendly. The brand recommends doing a patch test before you start using it on your face. This whitening day cream by Himalaya Herbals claims to give your skin a radiant glow. It has a unique and non-greasy formula that is infused with herbal extracts. It keeps your skin hydrated, brightens your skin by reducing dark spots and pigmentation, and clears your skin gradually. It contains licorice extracts, which are natural skin brightening agents. 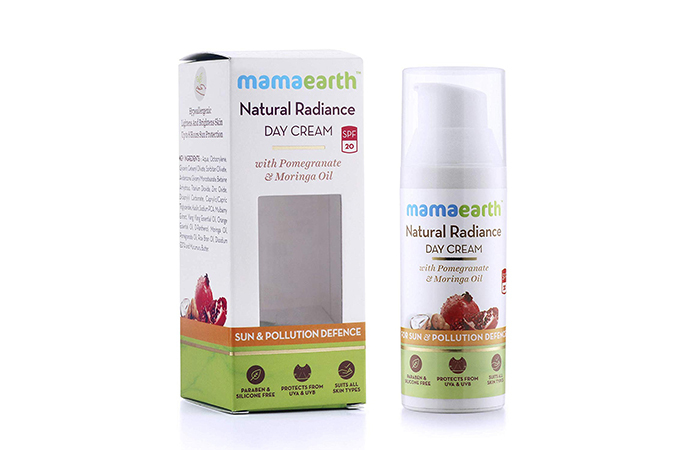 MamaEarth’s Natural Radiance Day Cream with Pomegranate & Moringa Oil contains SPF 20+ for optimum sun protection. This sunscreen penetrates your skin and helps reverse sun damage while giving it a healthy glow. It also prevents premature aging of your skin by offering effective UVA and UVB protection. The natural ingredients of the cream moisturize your skin and protect it against damage from pollution. This cream is suitable for all skin types. 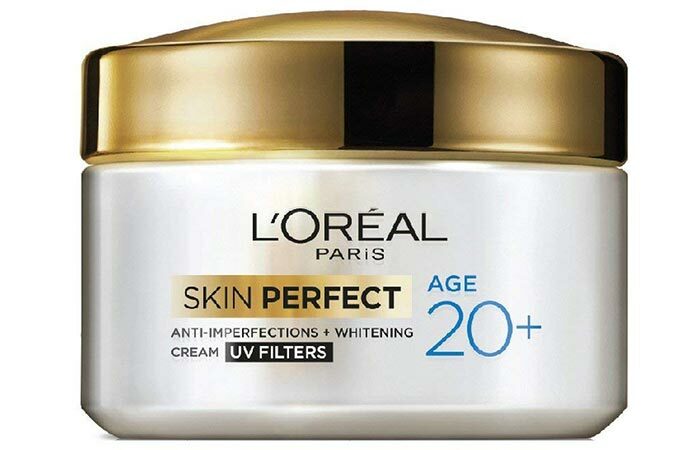 It claims to minimize hyperpigmentation and protect your skin against sun damage. It also claims to brighten the skin and impart a whitening effect. It nourishes the skin and keeps it moisturized. It is perfect for those who are looking for a day cream for everyday use. This is a skin lightening day cream that contains microcrystals and essential vitamins that polish your skin to make it glow. 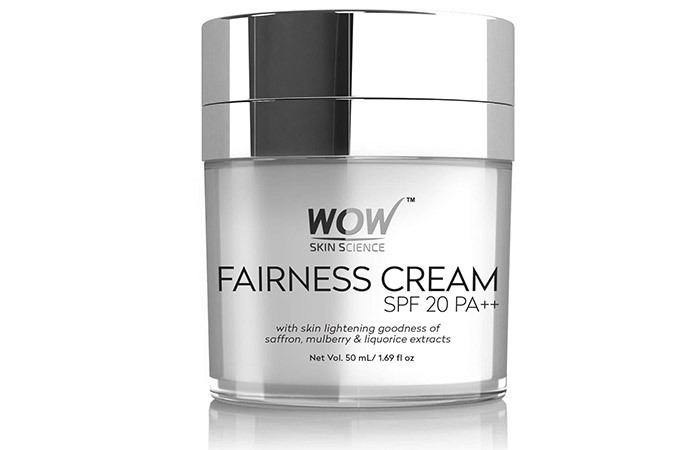 This advanced fairness cream contains sun protection that prevents dark spots and blemishes. It claims to control breakouts and make your skin softer and smoother. This cream contains lemon extracts (known to reduce the appearance of pigmentation and spots). 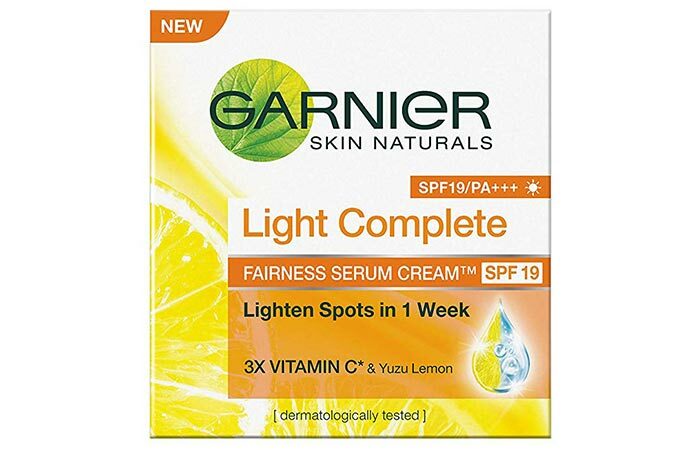 This product by Garnier claims to prevent pigmentation and dark spots and make your skin visibly bright. It contains SPF 19 that protects your skin from harmful UV rays. It also includes vitamin C that brightens your skin with regular use. 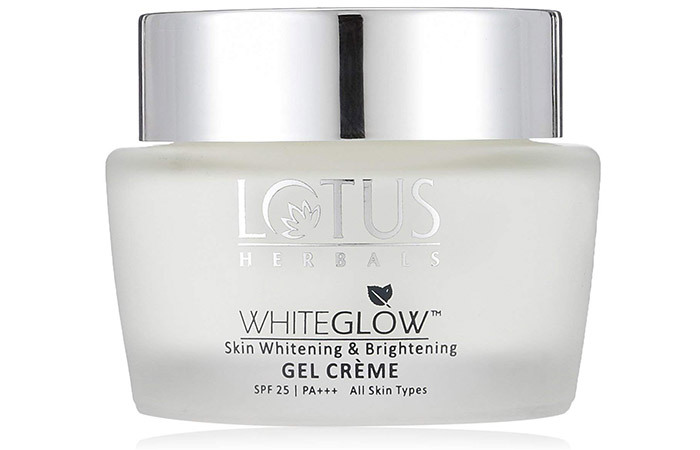 This cream by Lotus contains fruit extracts that nourish your skin deeply and make it brighter. It provides sun protection and has a gel base that gets absorbed quickly and controls oil production. It contains brightening agents that rejuvenate your skin from within to give it extra glow. This cream is formulated in a way that gives you visible results within four weeks of continuous usage. It has a unique vitamin 3X formula that combines three essential vitamins – B3, C, and E. These vitamins are known to brighten the skin and improve marks and blemishes to give healthy and glowing skin. 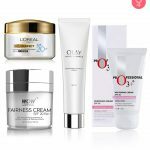 This brightening cream by Olay claims to correct and lighten your dark spots. It has SPF 24 that protects your skin from the harmful UVA and UVB rays. It also contains skin nourishing vitamins that enhance the natural radiance of your skin and give you visibly bright skin in just a few days. 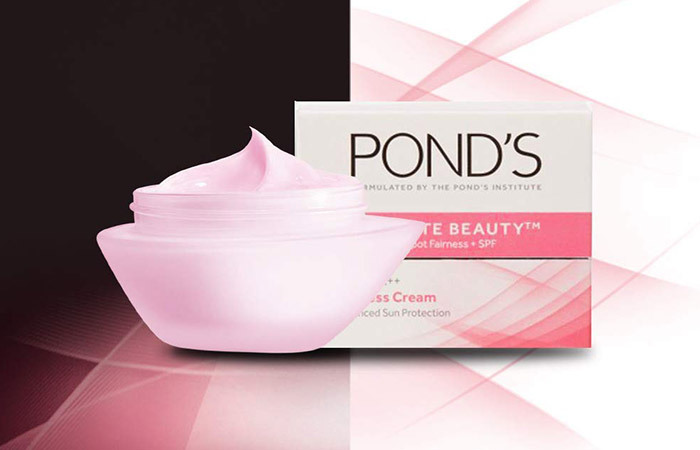 This cream contains pro-vitamin B3 and an anti-spot formula developed by Pond’s Institute. It reduces stubborn dark spots, revealing spotless skin. It protects your skin from the harmful UVA and UVB rays and keeps it moisturized. 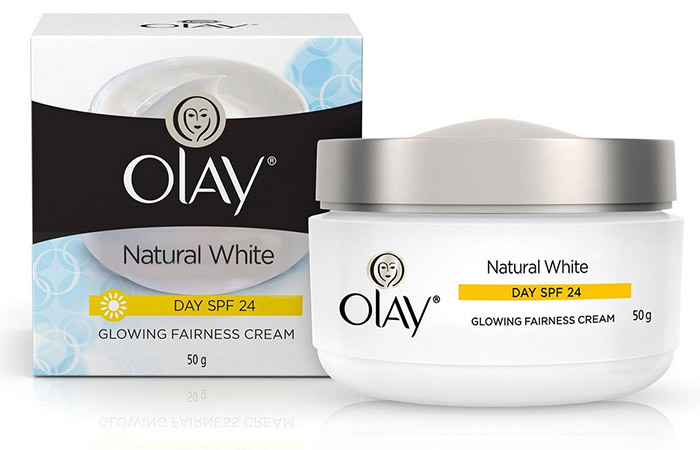 This fairness cream by olay packs a powerful punch of three vitamins to give you healthy and glowing skin. It contains Vitamin B3, Provitamin B5, and Vitamin E that not only lighten spots and pigmentation but also brighten your skin and keep it moisturized. It comes with sun protection, and you can wear it under your makeup. Remember, merely applying fairness and brightening creams will not give any results if you do not eat healthy, sleep properly, drink enough water, and follow a healthy lifestyle. Glowing and healthy skin is all about commitment – it doesn’t happen overnight. Try any of these skin lightening creams and share your experience with us in the comments section below.